Luxury easycare polycotton dressings with padded liner for added comfort. 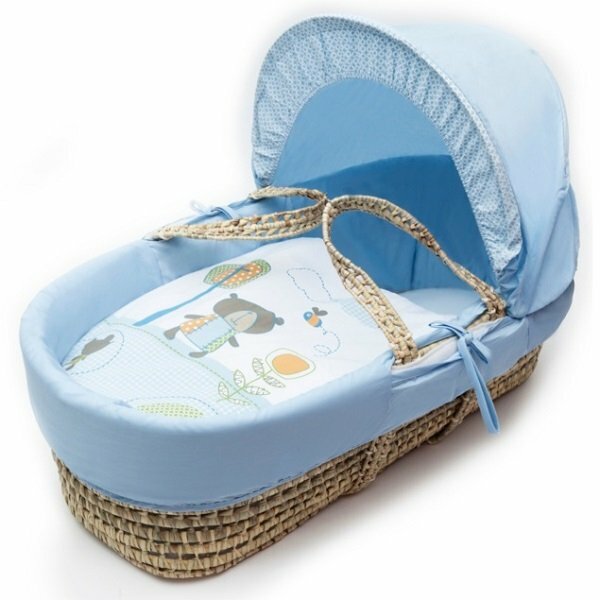 Comfortable mattress and an adjustable hood perfect to create a cosy sleeping space for your precious little one. All dressings are removable and machine washable. The mattress is also washable. Suitable from newborn to 6 months. Please note that stand is not included but is available to buy separately. We have a range of folding and rocking stands, in natural or white colours.